350 total shares. Be the next! 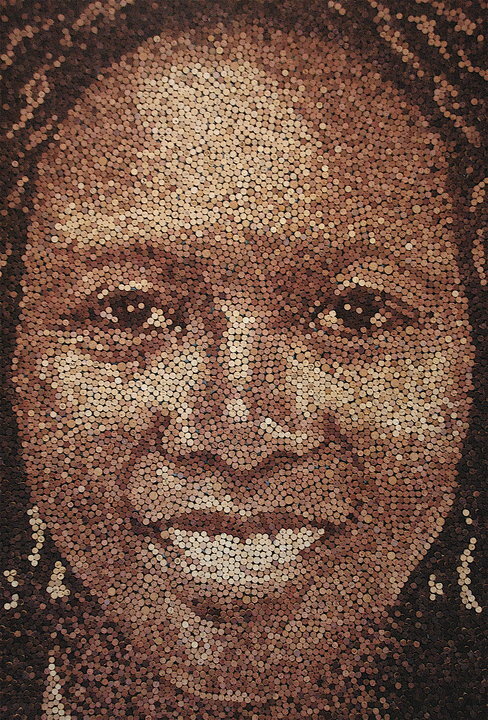 Scott Gundersen creates his portraits from thousands of used and recycled corks. 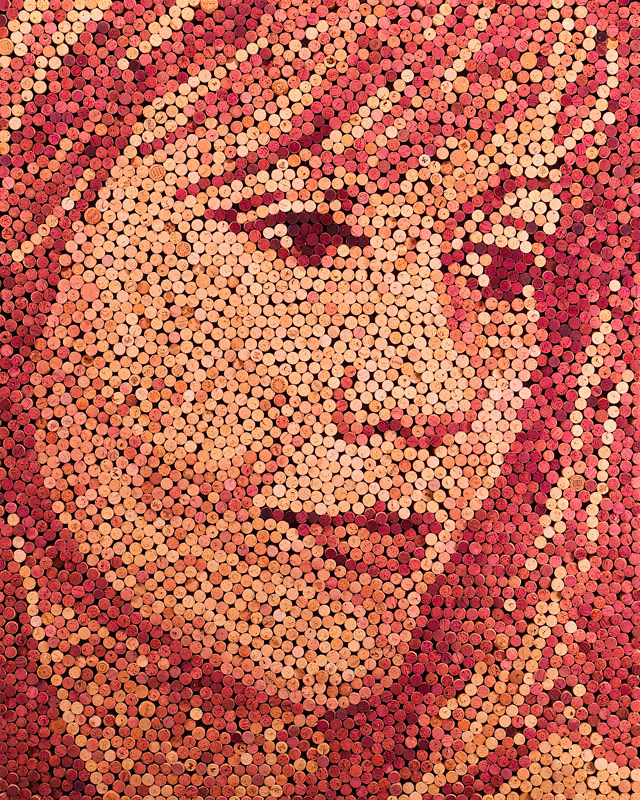 Starting with a large photograph that is transferred to a drawing, Gundersen pins each cork to the canvas, creating a correlation between the hues of the wine-stained corks and the value of light or shadow in the portrait. 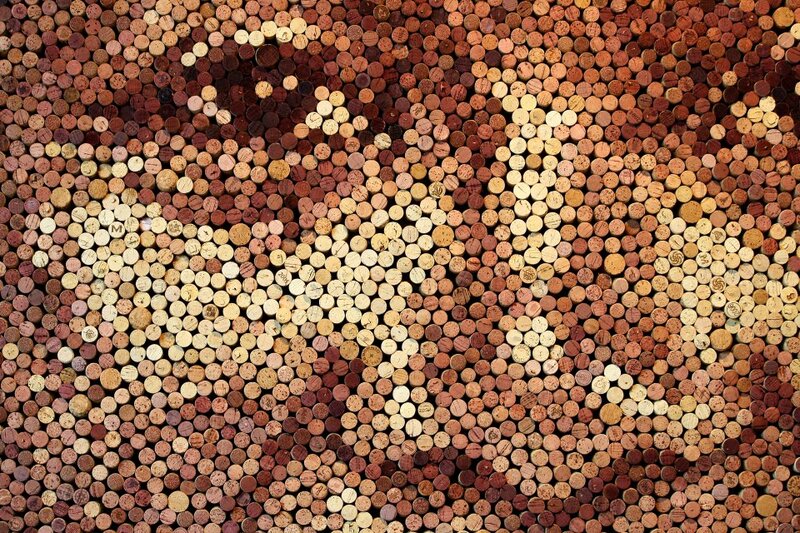 Some of his larger works have required over 9,000 corks. wow i really like the colours,they blend really nice and the detail that has been put in is well done. 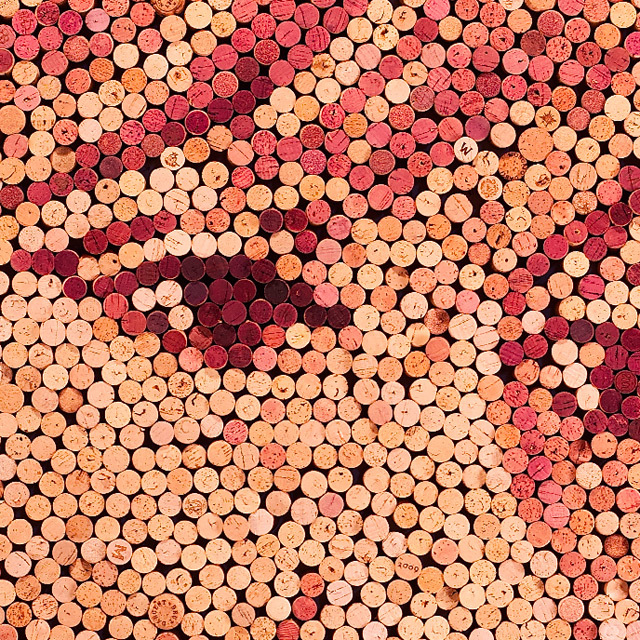 Read the description people, corks- its made of corks. Very cool stuff, I want to try!! 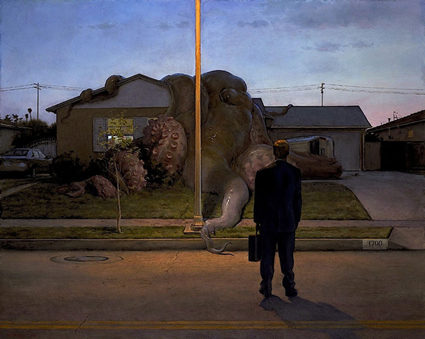 very impressive, I'm impressed this is very unique and well portrayed. If not to forward about how much time do u have in one? 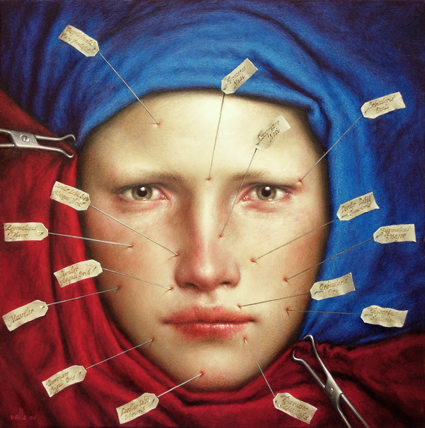 Anyway very nice art keep up the good work.